For those with limited time to visit, we offer smaller-duration, fun courses for groups. We've designed an assortment of projects which may require as little as three hours or as long as three days to complete. 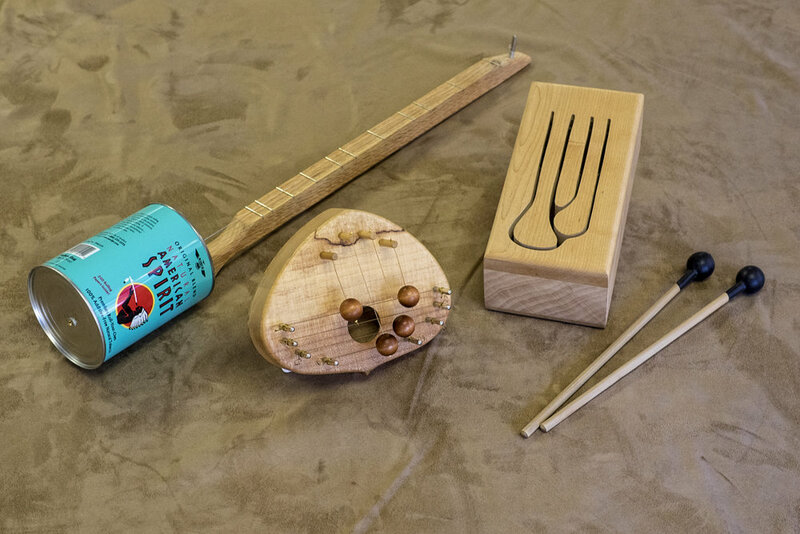 Options include Travel Ukes, Log Drums, Canjos and more. There is a group workshop plan custom-fit for every age and experience level; we're constantly developing new items for this menu! Call for details and special group pricing.